Unbreakable rides almost entirely on two men — Bruce Willis and Samuel L. Jackson. Willis plays a security guard named David Dunn, a once promising football player who is now trying to fix his relationships at home. His wife, Audrey (Robin Wright, then also having Penn as a surname), is distant, and David has considered taking a new job in New York because of this. They have a young son, Joseph (Spencer Treat Clark), that is caught in the middle of their continuously eroding marriage. Samuel L. Jackson is Elijah Price, a comic book aficionado who was born with a rare disease that makes his bones especially brittle. His constant injuries led to childhood bullies naming him “Mr. Glass”, and the moniker has stuck with him ever since. Price seems to have read too many comic books because he is convinced that there is someone on the opposite side of the spectrum from him — someone who is indestructible and impervious to pain. That man is David, who at the beginning of the film is the only person to survive a horrific train crash. Elijah hears about this news and seeks out David, telling him what he truly believes. With much persistence from his son, Joseph, David finally realizes for himself that maybe he does in fact have powers beyond the realm of normal men. The way this story is told is actually quite revelatory; it is very low key and comes across as surprisingly believable. The film’s pacing is almost methodical, but it does an excellent job of building up both main characters. It’s much more subdued than a typical superhero film — a huge plus in my book. It’s a shame then that the ending nearly makes the entire film fall apart. Now, given that this is a M. Night Shyamalan film, there is naturally a huge plot twist near the end. This in itself is not a bad thing, even though there are so many hints as to where it’s going that it really isn’t all that shocking. No, the problem is that it ends so abruptly. Just as we get the big revelation, the film rushes to an end, and then has the balls to display two “what happened next” screen captions. I can handle Shyamalan’s overabundance of gimmicky shots (of which there are many in this), but this conclusion is just absurd. Unbreakable is generally quite good until this point, but it really left me with a sour taste in my mouth. It’s too bad that Shyamalan followed this up with Signs and The Village and so on, because this could have led to some very intriguing sequels (as was originally planned). I’ve never heard of this film before, I’ll definitely check it out. Good review! Wow, really? I thought I was the only one who hadn’t watched it. 🙂 It’s worth a look if you dig superhero stories or comic books in general. Really really. You’re not alone (well now I’m alone…). I dig both of those so I will for sure give it a look now. The pacing of this movie seems really good until the last third like you mentioned, but I think the real problem is a story pacing problem from the very start. It’s written almost as if he had no clue as to how the movie would end so much so it feels like a shock even to the director himself! I do like the start of the film but I feel like it needed more story heft, i.e. events that support the end. Anyway I totally agree about the sour taste. In fact Shyamalan’s entire career seems to do that after Sixth Sense. Cheers. Unbreakable is one of those films I’ve been meaning to get around to for THE longest time. I think the fact that it’s M. Night Shyamalan is kinda pushing me away, though. I’ll probably just sit down at one point and watch all his films straight through. I think the only ones I’ve seen of his are The Last Airbender, The Lady in the Water, and (of course) The Sixth Sense. Take a guess as to which one of those three I actually DIDN’T thoroughly despise. Yeah, I think I steered away from it for so long because of the Shyamalan connection as well. 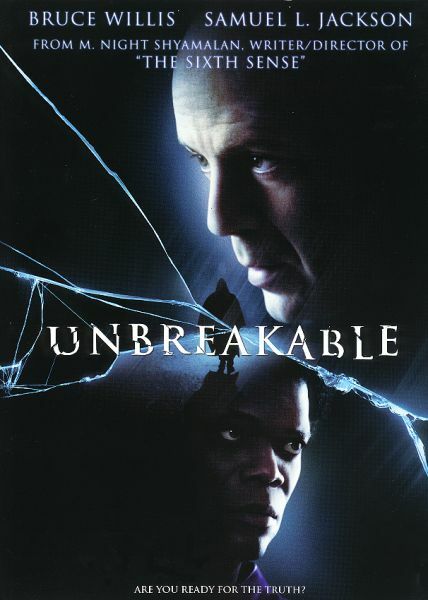 I don’t know if I would recommend sitting through *all* of his filmography, but Unbreakable is worth a watch at least. I’m curious to hear what you think when you check it out. Ah, the good old days when M. Night held so much damn promise. Good review Eric. Hard to believe this was 14 years ago. Maybe someday he’ll put out something decent again, but I’m not holding my breath. I will give the film props for being so much different from the rest of the superhero pack. I just wish the end wasn’t so rushed. The quick captions were what really soured the experience for me. Sorry you didn’t like this one more! I think it’s almost as brilliant as Sicth Sense and the twist completely floored me. For the most part, I liked what the film had to offer. I just wish the twist and subsequent climax weren’t so rushed. Top notch review sir. I really have to admit I don’t recall those ending credits “what happened next ” scenes, but I don’t for a second deny it. Sounds totally like an M. Night thing to do. Gah he’s such an exasperating director. I find I might be one of the few who actually really liked Signs but Unbreakable is something he will unfortunately never top. Aww, wish you’d like this one more. It’s probably one of my favourite “comic book hero” films. It’s cleverly made. Willis and Jackson play fantastically off one another and I really liked the ending. It worked for me. Loved the building of it all, and the atmosphere. Shamalamdingdong hasn’t done anything better. It sounds like I am in the minority on this one. 🙂 I definitely appreciated the slow buildup and the unconventional twist to the comic book hero formula, but the way the ending was executed really left a sour taste in my mouth. I agree with other comments that I wish you’d like this one more. At least you quite liked it! I think its an interesting take on the superhero genre. Probably my favorite Shyamalan film, though I haven’t seen the director’s recent critically panned output. I haven’t seen Shyamalan’s last couple films, but I would agree on Unbreakable being my favorite based on the rest (even with my complaints). This is actually my fave M Night film, yes even after the brilliant Sixth Sense. I have no problem w/ the ending, but I think the entire film is just fantastic. Hey Ruth, hope you are having a great trip! It seems I am in the minority on Unbreakable. For the most part it worked for me, but I was left wanting more. I haven’t seen Unbreakable in a long time, but I remember the ending with the text on screen being jarring. I think that it was designed to be like a comic book where it ends and then sets the stage for another chapter. That was my theory at least. The big twist (while outlandish) didn’t bother me too much, but it did go down a notch because of the strange ending. Either way, Unbreakable is easily my favorite from Shyamalan because it’s less about the twist and more about the journey and atmosphere. 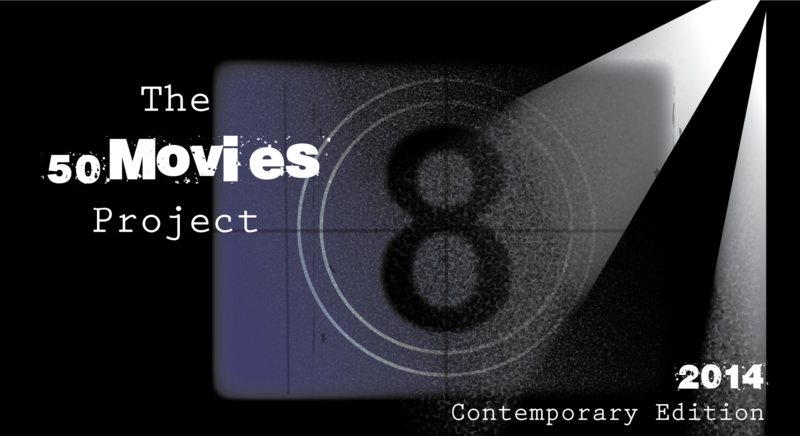 It’s quite a gripping film, and I still can’t figure out what happened to the director of this film, The Sixth Sense, and a little bit of Signs. Hey Dan, I think you’re onto something with that theory. If that was Shyamalan’s intent, it makes more sense, but it’s disappointing that it’s all we have been left with since. I’m really curious what a possible sequel or trilogy would have been like. As you said, the buildup and atmosphere were incredible. It just could have been so much more.